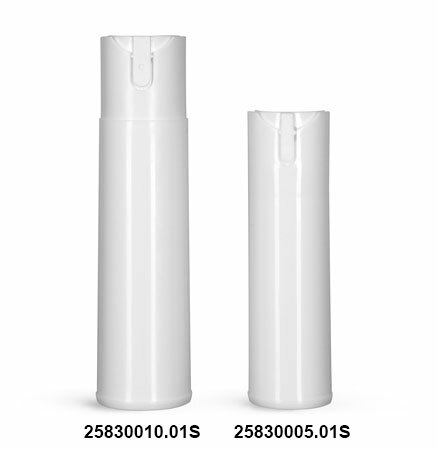 When packaging products that could include pharmaceuticals, breath fresheners and more, choose white child resistant sprayers with plugs for small capacity dispensing. These white plastic bottles and plugs are composed of opaque polypropylene plastic, providing good barriers against, moisture, oil, and alcohols. 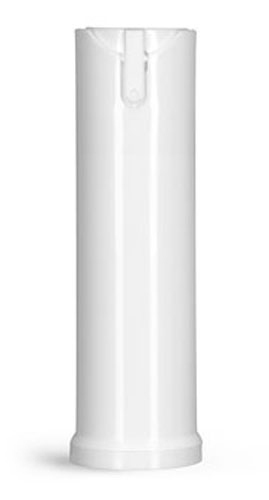 The child resistant sprayer cylinders are filled and then sealed at the bottoms with the included white plugs, which are not intended to be removed once sealed. Sealing is completed by hand or with a press assembly machine for production quantities. The plugs provide a tamper evident seal and the tear off tabs attached to the sprayers ensure the product has not been previously used. Press the button and twist the tops of the child resistant sprayers to unlock, tear the sprayer protector tabs away, and press down to dispense.